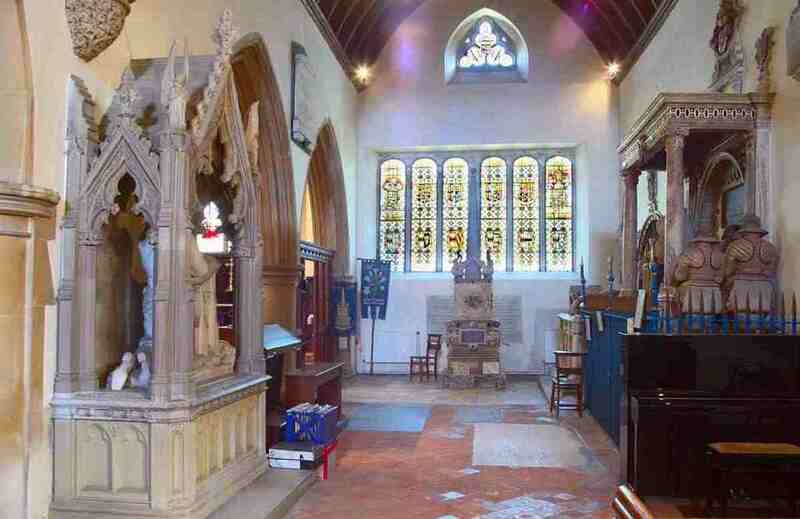 Marlow is full of ancient history and ghosts are prevalent. 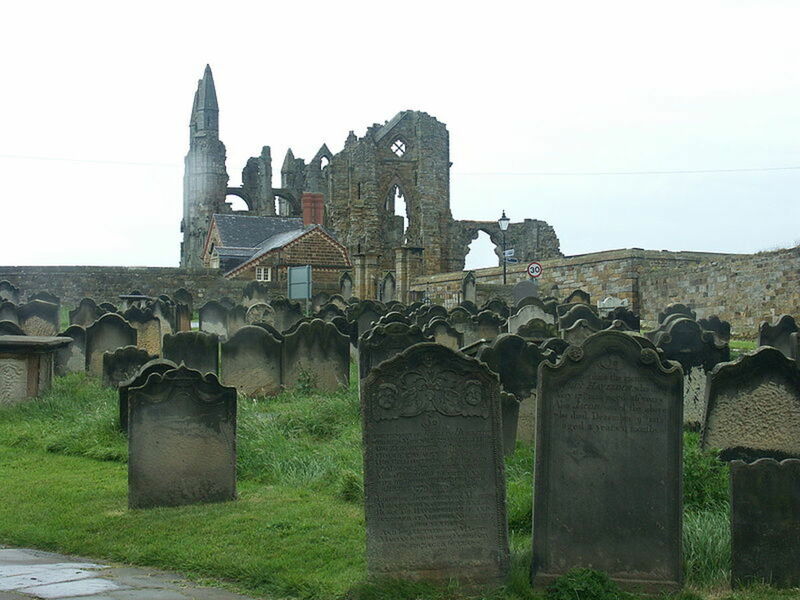 Dating back to the time of William The Conquerer it has many old buildings that are a haven for ghosts and spectre's. Just over the bridge from Marlow, is an old stone Abbey with its pointed gables facing the River Thames. This is the famous Bisham Abbey built in 1337. 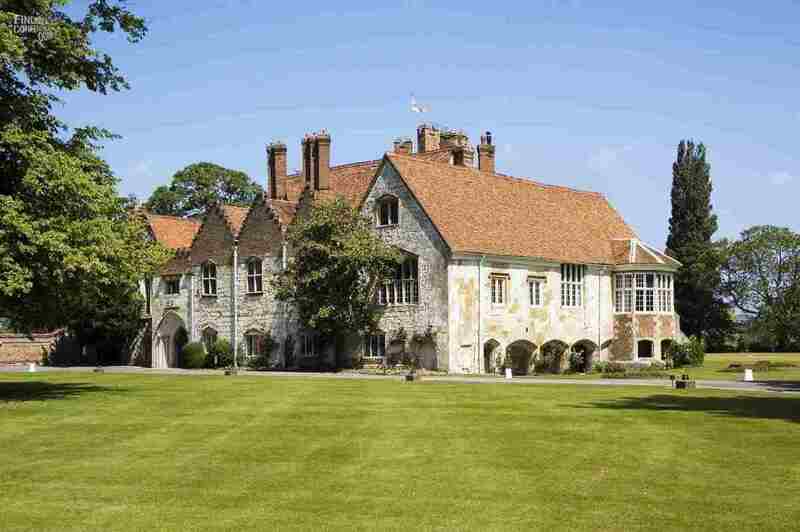 Previously it was known as Bisham Priory where the Monks resided. It is said that when King Henry VIII disolved the Monasteries, the Monks were so annoyed they cursed anyone who bought the Abbey. Steeped in history, it is a spooky place with an eerie atmosphere. It's not surprising that it is said to be haunted. it has known Anne of Cleves, Oliver Cromwell and Elizabeth I. Ancient flags adorn the walls, and a portrait of Dame Elizabeth Hoby hangs in the great hall. Take a look at her picture. This is the famous ghost of Bisham Abbey, known locally as the Grey Lady. Over the years there have been many sightings of the Grey Lady ghost. I remember a story that my mother told me about the Second World War. She was a Sergeant in the W.A.A.Fs, and worked mainly as a telephone operator. She was a practical woman who had no time for ghostly tales. Being given what she called the Graveyard Shift, she walked through the Abbey to get to her station. The windows didn't have curtains at the time, and from where she was positioned, she could see out over the grounds, and in the distance the river glowed faintly in the moonlight. One night as she took her seat, she noticed out of the corner of her eye, a mist coming in over the grounds. She took no notice and carried on with her work. Suddenly she heard an intake of breath and looked towards the other girl who was sharing the shift. The girl was pointing towards the window. Outside the mist had taken on a shape. The form slowly glided by the large window, and to my mother's eye she saw a woman take shape, her hands out in front of her. The ghostly woman drifted away across the fields and disappeared. In the last few months of the War, my mother had been priviledged to see the ghost of the grey lady. When I asked her what happened, she had a far away look in her eye and said, ' We saw something that night and it made the hairs stand up on the back of my neck. I don't believe in ghosts, but at that moment I wanted to walk out of the door, and get a strong drink'. Of course being in the Airforce you can't just walk away when you get to see a ghost! So they carried on working, and never mentioned it to anybody, not even each other. Elizabeth Hoby was born in 1528 and died in 1609. She was a highly respected member of Queen Elizabeth's court. Known for her poetry and musical talent. 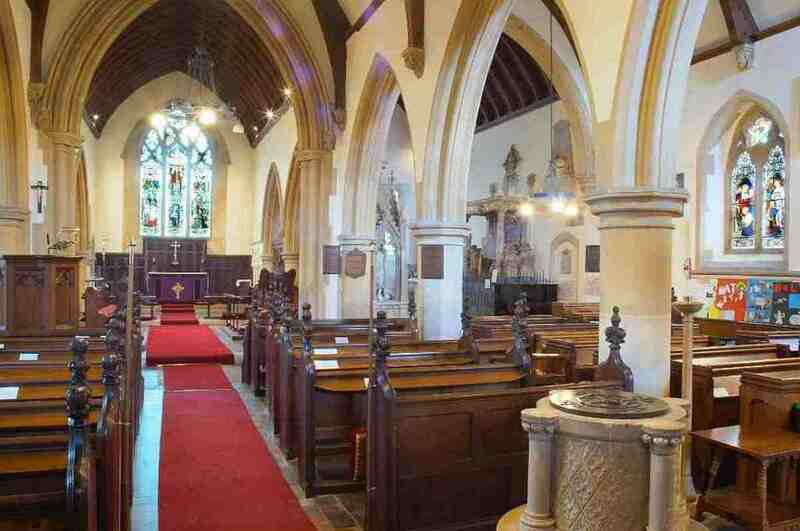 On the 27th June 1558, she was married to Thomas Hoby of Bisham Abbey in the county of Berkshire England. Thomas was a noted translater and in 1566 he was Knighted and became the English ambassador to France. The couple moved to Paris, but sadly Thomas died shortly after. Elizabeth had four children, two girls who died in childhood, Edward and another boy who was born after her husbands death, who she named Thomas in memory of her husband. Later, she married for the second time. Her husband was Lord John Russell. She had two more daughters named Elizabeth and Anne. This is where it starts to become confused. Its said that Elizabeth had another son, William. Wanting all her children to become successful, Elizabeth became angry because William was a disappointment to his mother. He couldn't read or write to her standard, and in a fit of anger she is said to have hit him so violently that she killed him. Strangely, there is no record of him in genealogy records. But that doesn't mean he did not exist. Records back then were very patchy, especially if he died before records about the family were written. Another explanation could be that as Elizabeth's family were so influential at the time, somehow they managed to cover up the secret. Whatever the reason, Elizabeth is said to be so full of grief and remorse, she continues to search for her son. And that's why she haunts the Abbey. Her ghost appears, weeping and wailing, desperately washing out the blood from her hands in a bowl of water that eerily appears in front of her. Of course you could dismiss the whole story as legend or fake but for one thing that happened later. In 1840 new evidence came to light, showing that the stories may be true. Part of the Abbey's dining room floor was taken up during alterations, and among the rubble they found old papers. What's more exciting was the fact that these paper's contained Elizabeth's Copy books.The books contained lots of writing by the Hoby family. In fact a lot of it were corrections by the ghostly Dame Hoby herself! Mrs East who was renting the house at the time decided in her wisdom to leave the books alone until she could get them verified by the Abbey's owner. Once again a strange thing occurred. Soon after the discovery, the paper's went missing. Evidently the builders decided that they could make a pretty penny out of them and stole the lot! 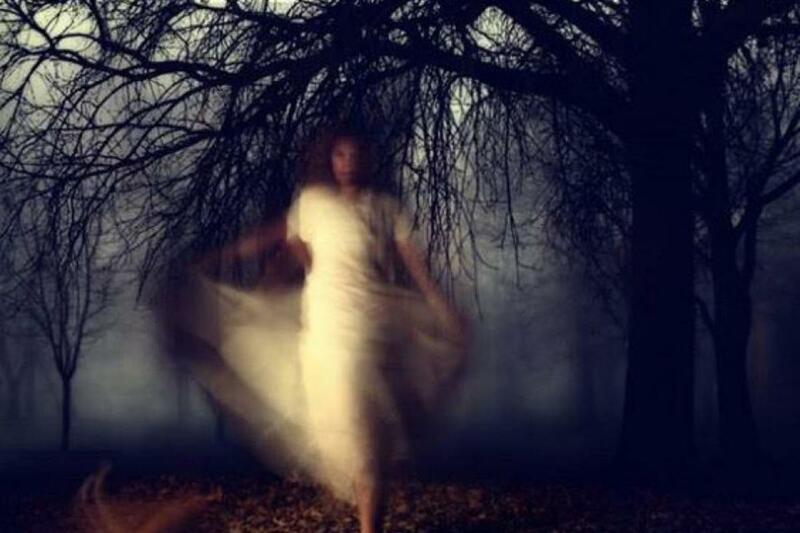 The Ghostly sightings are still very much a part of Bisham Abbey and throughout the last few hundred years there are been many sightings of the Grey Lady. One of the most chilling accounts comes from late 19th Century. Admiral Edward Vansittart, a sailor, came face to face with the famous ghost. Playing chess with his brother late one night in the panelled room where the Dame's portrait hung, he had finished the game, and his brother decided to retire to bed. Edward stood in the room with his back to the portrait mulling over his day. He soon became aware of a presence behind him, and turning, he saw Dame Elizabeth standing there! He looked across at the painting, and to his horror there was nothing on the canvas. Terrified, he ran from the room. Another account concerned two boys on their way back from a fishing trip at dusk. They were scared half to death when they saw a boat by the bank of the river. In it was an old woman, huddled in her black cloak. The boys didn't wait to see if it was Dame Hoby! 'Young man, if I touch thee, thou will be bald'! With the light of dawn approaching, the young man fled Bisham Abbey, and in a bizarre twist he soon became a clergyman. How's that for a convertion to the faith! In another strange case, a young girl was staying at the Abbey and after going to bed to read, she noticed that her dog started to get agitated. His hackles were rising and he leapt of the bed with a yelp and ran from the room. To the girl's astonishment, she suddenly noticed that her watch that had been placed on the bed, started to rise in the air! Then it shot across the room, as if thrown by a ghostly hand! Then sheet music was thrown about, and her Toilet Set, or vanity case was knocked over. But that wasn't all. The curtains of the bed were wrenched open and standing there in front of her, was a woman wearing what appeared to be an old fashioned nightgown. In a state of shock, the girl ran from the room and downstairs, where after she told her story, she was shown the portrait of Dame Elizabeth. The girl recognised her from the sighting. 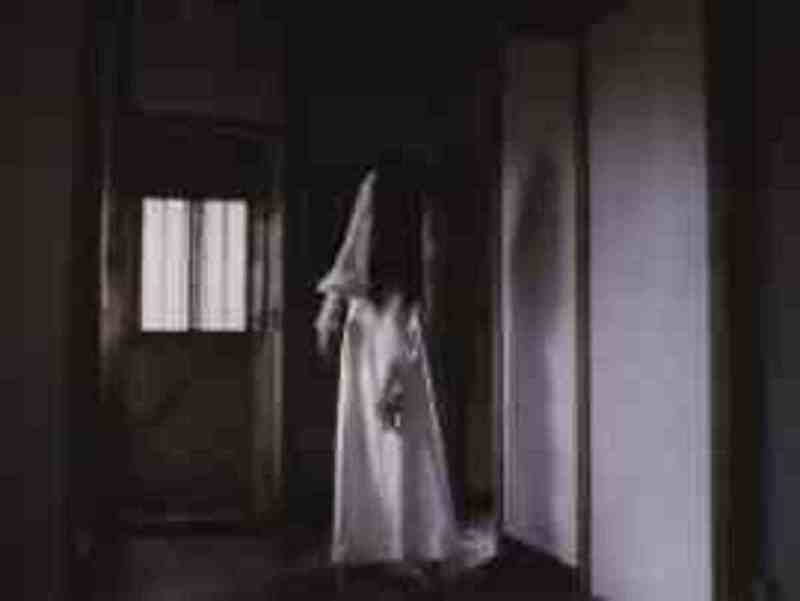 One of the strangest things about the ghostly sightings, is that she sometimes seems to appear in the negative. 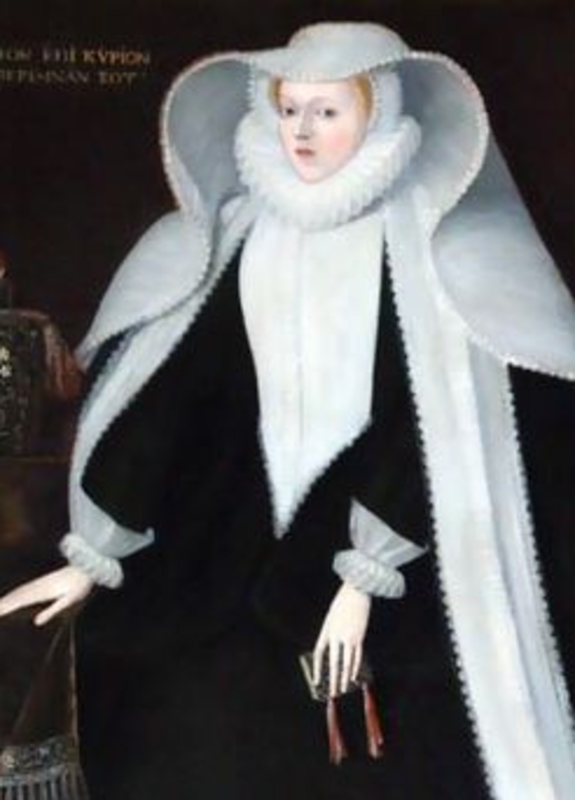 For example her headdress, ruff and frilled sleeves are always black, and her gown is white. 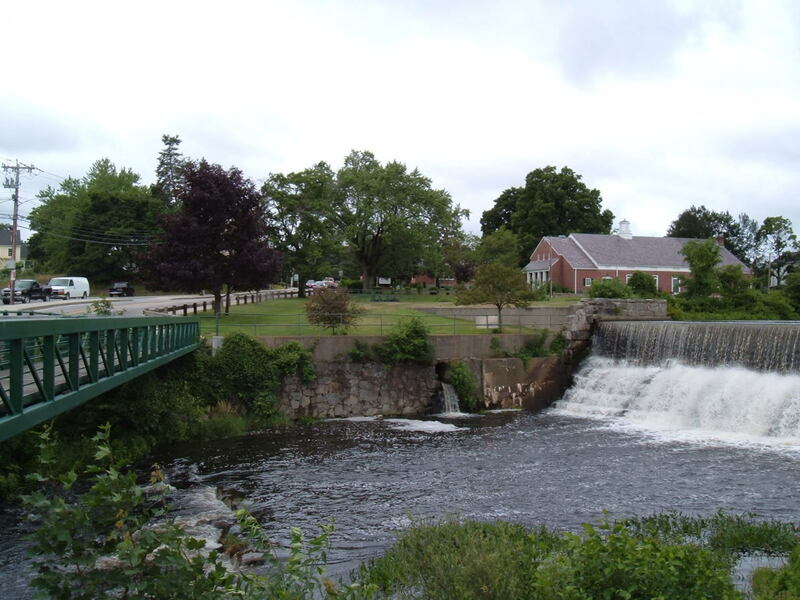 Living in the area all my life, I have heard this ghostly tale many times over the years. In fact Elizabeth's hauntings are said to be a lot farther afield than just Bisham Abbey. 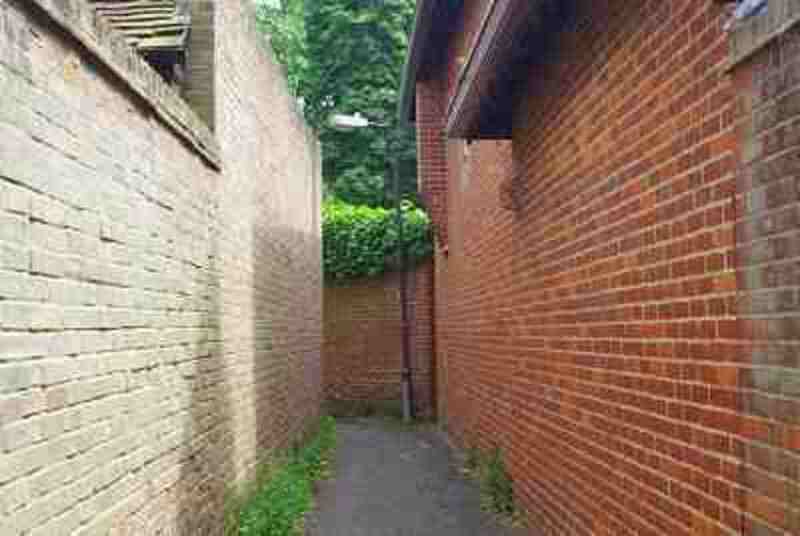 There is an alley in Marlow called Seven Corner Alley. I think it must have had a proper name at one stage, but all the locals know it as the above. 'I just saw the hand print, there!' And he pointed to the wall. And for just a second I thought I could see a shadow. A shadow of a hand dripping water. The Grey Lady, the Ghost of Bisham Abbey. Dame Elizabeth Hoby. We ran and never looked back. In a strange twist of fate, I recently received an email from a lady called Jennifer Tapies. To my surprise she told me she was the descendant of Dame Elizabeth Hoby. She went on to say that she and her family were coming to England to visit Bisham Abbey and would I like to meet up? As you can imagine I was amazed and delighted. They were American, but were residing in Austria. Jennifer arranged to meet me in my local pub. 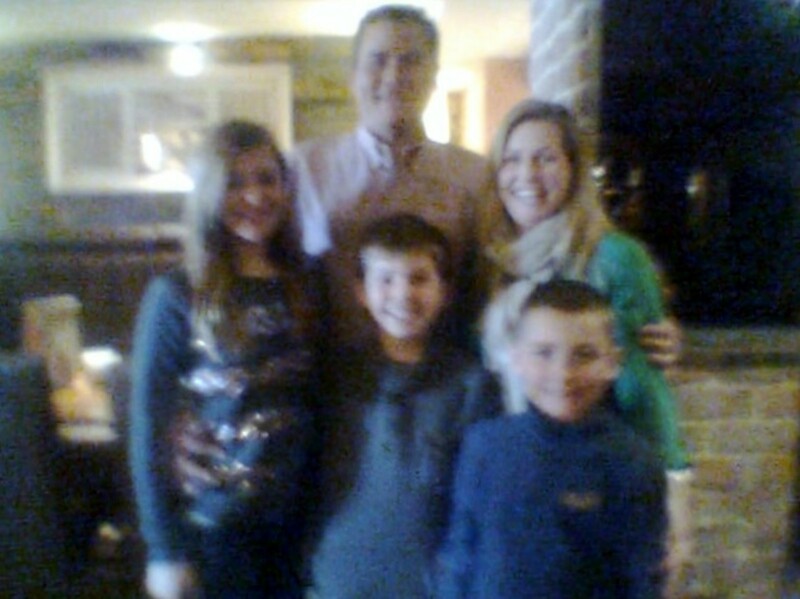 I was nervous but couldn't wait to meet her and the family. Imagine writing an article then being contacted by the descendants! It doesn't get better than that! On the day in question we met and I had a wonderful time. Jennifer, her husband and three great children told me all about how they discovered their family history, and over lunch we had a lovely chat. I really enjoyed myself and I hope they did too. It really made my day. It just goes to show that sometimes our path in life can cross in the most mysterious ways. Thanks to Jennifer and family for a great day. Hi Isaac, that is amazing! Did you read the fact that I met some of her other relatives? Great to meet them, but had to dive back to work, shame. Thanks for reading and commenting Goroba, glad you liked it. Nell, I enjoyed reading your post. We are descendants of Lady Hoby and are planning s visit to Bisham in early April 2013. I would like to ask you a few questions offline. Please let me know how to contact you. Very interesting story and so spooky. I don't think I would want to run into her she would give me a heart attack but would love to see the abbey. Hi bac, my pc is really playing up tonight, so sorry it took so long to answer, thanks so much, yes she is spooky isn't she? lol! Really enjoyed this hub. I liked the way you set the tone by giving your mum´s account of seeing the grey lady. This made it even more real and believable, even to one who believes in such things. Thanks Nell for a great read. 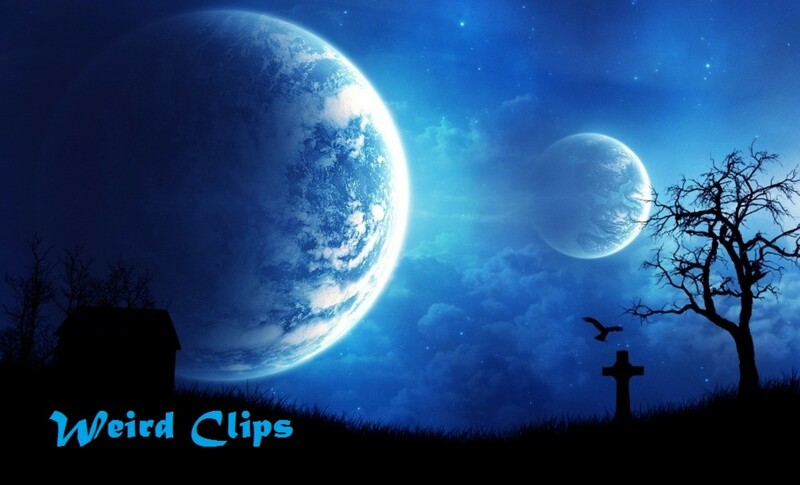 Very interesting hub, I love reading hubs about ghostly haunts very well written. Dame Elizabeth sounded like she might have had quite a bit of anger in her, voted up, awesome and shared. I'm not officially a Brit (only by blood) and I've often thought what a stroke of luck it was that Harry is the Second Son and not the first! What a disaster that would be! I watched William and Harry being interviewed by one of our news ladies last week and it was so nice. Especially having William say he was so sorry his mother couldn't be at the wedding and that she couldn't know Kate. Sounds so much like real love and a hint they will be starting a family soon. I love those boys. Isn't it so good William was born first though, can you imagine the opposite? Now this is what I call 'paranormal' for real!! Firstly, what a history the Abbey has - hardly surprising that it's haunted, and not by residual energy, but spirit! And what a record of events - this was a fascinating account! I have to say as well, that I was fascinated by what Dame Hoby said to the young man, (not only because speech from a spirit so directly is quite rare), but because of what she said: - 'Young man, if I touch thee, thou will be bald'! There are numerous accounts of people coming into contact with the supernatural who have actually lost all their hair. Now this might be coincidence but maybe not, but two that I can think of from TV are Stuart Torvell from Most Haunted and Gale Porter the investigative journalist. I could be barking up the wrong tree entirely, but I wonder if Dame Hoby knew that she could harm the lad in some way? Most people have put the loss of hair down to fear/stress when encountering the paranormal, but now I wonder if there is maybe another cause? Anyway, this was one fabulous and totally absorbing hub - voted up everything except funny!! Good English tale. Remind me not to stay there because I wouldn't be able to sleep a wink. Hi Sue, thanks for reading, I love my ghost stories! lol! I really enjoyed this ghostly tale. Hi alocsin, glad you liked it, and yes my mum wasn't one for ghosts, but this certainly spooked her out! lol! thanks! Hi, Jama, Yes that's me, always on the look out for an opportunity! haha! thanks! Nell, I knew you'd catch on to the possibilities! lol! What an exciting thing to happen to your mom. I've been to your country a couple of times and stayed in a few haunted places. Alas, no ghosts visited me. Voting this Up and Interesting. Hi Jama, that would be great if they were filming! maybe I can get a 'bit' part in it! and then afterwards go for a pint in the local village pub! Oh my Nell! You sent shivers up my arms with this Hub! Poor ghost, she is obviously frustrated with something. In reading the autobiographical info I can't help but wonder if perhaps that tale about killing a son wasn't just something made up by her enemies? If she is grieving it could be over something as simple as that awful gossip. Whatever the truth may be on the son, fascinating story. I bet you and your friend were terrified in that alley! Hi kitty, I think from what I read about her, that she was quite a talented lady, but it was this one thing she did that caused her to go mad, glad you liked it, and if you do get over here give me a yell and we can go look for spooks together! lol! Hi Jama, evidently there are supposed to be ghosts but I can't find any particular ones, I think it just says 'ghosts of people who lived there' but I can't find any definite names. Highclare is approx 50 miles away from me so I will have to go and take a look, maybe get some photo's! Thanks for another (literally) hair raising tale! Very strange about the Grey Lady's papers, though. Perhaps SHE took them and hid them elsewhere? At least it was papers they found and not the bones of the murdered son! btw, are you anywhere near Highclere Castle? If so, is it ghost-free? Just seems strange a house that big wouldn't have one (or two) floating around. I have the current Countess of Carnarvon's book about the house - "The Real Downton Abbey" - which was compiled from Highclere's archives, but there's not even a hint about any resident ghost! Just wondering if there's ever been mention of hauntings there by the locals. lol! that would be great wouldn't it? Nell, I wish I could! I would be there in a heartbeat!! Did you go there to meet the Dame? With your spiritual experiences, you could certainly get the information straight from this woman...are you game? Nell, great article bur you're braver than I would be going down seven corners alley! It's amazing that there have been so many sightings of her over the centuries. Wonder if that clergyman ever went bald? Great story Nell. Very creepy. I was brought up on ghosts and ghost stories in Ireland. They are part of the eternal backdrop there. That was a really excellent retelling. I shall be sleeping with the lights on tonight. She sounds like one really pissed off lady! I'd run for my life, too. This is a great article, Nell. The background info along with personal accounts, it makes it all very spooky and real. I really liked it. I've been fortunate to have met kind spirits only. But I know that these encounters happen and can be pretty damaging to one's mental state. The fact that you're seen something that doesn't have a logical explanation is a hard pill to swallow as it is. Just imagine experiencing an encounter with a violent spirit! It's very interesting. Thanks for sharing. Such a great story and beautiful pictures. Loved the videos too and the English accents! lol My southern drawl would get me laughed right out of that country. I love reading ghost stories, and this one is very interesting, Nell. I enjoy looking at photos of historic buildings and reading about the stories attached to them. It would be fascinating - and scary - to meet Elizabeth Hoby! However, I wouldn't like to walk down Seven Corner Alley on my own! What a spooky story! This is fascinating and amazing all at the same time. I love stories such as this and would love to visit the priory. I have never experienced a ghost myself, but that doesn't stop me from believing in their existence. Nell, this is riveting! Did the papers from the floor ever show up again at some point? This poor lady must have died with a great weight upon her and if the stories are true, it is completely understandable. Just looking at the photo and imagining walking through that narrow alley with seven corners makes me shudder! Thanks for the great scary story this evening!